The next weekend will be one of the most important of the year for members of the Athletic Club Totana-JC Pallets, for ending one of the core activities of the season, the Fourth Circuit races Totana-AislanYola Tenths, coinciding also with gala dinner, "will terminate the season in the background. Both events will take place on Sunday 28 June. So, this morning at 10:30 there will be the last race of the racing circuit, which got its start last January. The test will start and finish in municipal sports facilities "December 6" and has the support of the council of sports. Since the Club has been very positive feedback on this fourth edition of the Tour "Décimas Totana-AislanYola" because, on one hand we have seen an increasing number of participants in the race, taking an average of more than 45 participants during the ten tests. 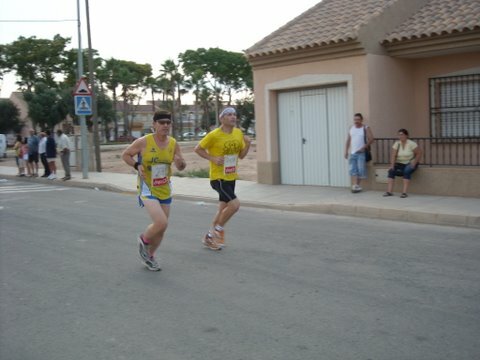 Then, with respect to the total contribution, over a hundred athletes have come to take part in the circuit, many of them in towns such as Lorca, Cartagena, Murcia and Alicante even. That same day there will be the gala dinner of the Club, where among other acts, will be delivering trophies and prizes to the winners of the race circuit. Also be awarded the trophies to the five winners of the third edition of Trotacaminos, competition for members of the Club which awards five more kilometers partners have accumulated from racing last December. Along with this, from the Club have prepared other acts such as dancing, bingo or a photo slideshow of the events where athletes have been around the club this season. From the Club encourages all members and friends to join us in this important day and where you spent a wonderful evening. 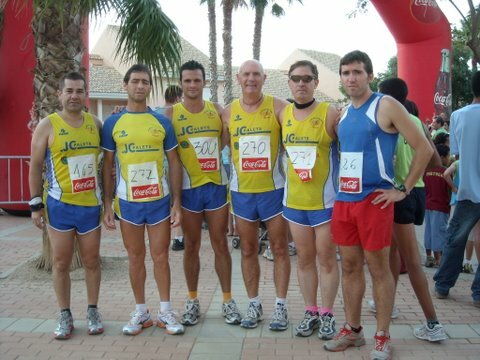 With regard to recent events where athletes have been present JC Pallets, highlight the participation of José Sáez, Eusebio Martinez, Fulgencio Garcia, Bill Hume and Pedro Redondo on I Carrera Popular Lobosillo (Murcia). Over a distance of 7200 meters and about 300 participants, the first totanero to complete the test was Fulgencio Garcia, with a time of 28 minutes, followed by Eusebio Martinez with 29:25. After this, came with 30:34 Pedro Redondo and José Sáez with 33 minutes. Bill Hume could not finish the test for an injury suffered during the first round and we hope to recover soon. On the other hand, since the club's board is already working on a new edition, the ninth, the biggest race organized by the club during the year, the Big Pond Grand Prize Panzamelba "which will take place on Saturday 29 August. New for this edition, the test will be timed with the system chips, through the prestigious company Lift Championchipl timing. Regarding registration, will open in mid-July, taking a fee of 7 euros (free for Club members) and paying attention to a limit of 250 participants.